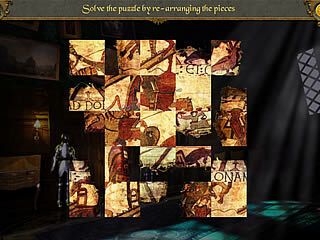 Mystery Seekers: The Secret of the Haunted Mansion is a newly released hidden object/adventure game. 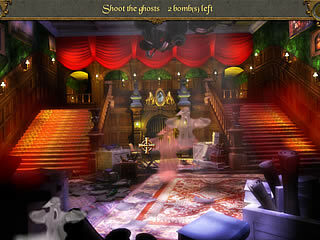 The game mixes those two parts very well as you explore the mansion full of mysteries and ghosts. The game doesn't give you a single clue why you are there and what you are doing there. Unlike many games of this casual games genre, Mystery Seekers: The Secret of the Haunted Mansion doesn't give you any story before you actually start playing. The first thing you see after creating a profile is the area before the mansion. The game doesn't give you a single clue why you are there and what you are doing there. But of course the game title dives away enough before you read the first entry in the journal. That's where you find out that the owner left the place because of the weid things that started to go on in the mansion. You are the one to solve the mystery now. The is full of enough tasks to keep you busy. You begin by exploring the area around the mansion, then you get inside and spend a lot of time going back and forth using the inventory and proceeding through the game. You will get a classic set of levels if the word "levels" is still appropriate since games try to avoid the clear division between the game parts. So, anyways, you are going to play some hidden object levels, then there are also mini-games, and a lot of walking around and searching for inventory. 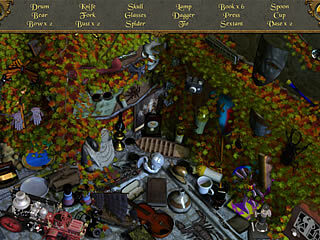 Apart from the different kinds of inventory you are going to have to collect also gems scattered all around the mansion. Those are to be used in the game as well. One of the irritating things for me was the way the game interacts with you. For, example, when you are told that those two items don't work together you have to click on a tick, when you want to take one of the inventories, you click the tick, then you completed a hidden object level, yes, right, you click the tick. Who needs that? The game in general is quite pleasing, especially if , unlike me, you don't get annoyed with those tick. This is Mystery Seekers: The Secret of the Haunted Mansion review. Download this game here.